Water Board correspondent Will Carruthers. Editor's note: We're very happy today to be running coverage of a Water Board meeting for the first time. The North Coast Water Quality Control Board meets in Santa Rosa, but administers the whole North Coast including Mendocino Co. Recently we found an great young reporter down in Sonoma to cover these meetings, and we're going to try to do this consistently. But to keep this up we need to pay for freelance writers like Will. Help us expand coverage and give the North Coast the news you deserve by supporting us on Patreon. SANTA ROSA, 11/15/18 -- At its final meeting of the year on Wednesday, Nov. 14, the North Coast Regional Water Quality Control Board approved a new regulatory agency for small water users in Mendocino County and listened to comments on a draft of new dairy regulations, among a variety of other actions. The Board approved the creation of a new Mendocino County water authority to oversee small wastewater treatment plants, considered comments on draft dairy regulations, approved a permit for Ferndale’s wastewater treatment plant, allowed a Korbel sawmill more time to comply with regulations, revoked a long-closed sawmill’s permit and heard a staff report from the Russian River Watershed Association. 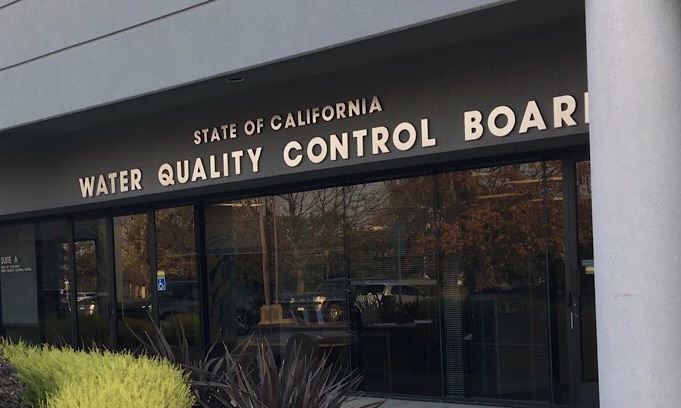 The board unanimously approved, through the consent calendar, the Mendocino County Local Agency Management Program (LAMP), a new regulatory body which will oversee small wastewater treatment systems in the county. “The purpose of...the LAMP is to allow the continued use of [Onsite Wastewater Treatment Systems] in Mendocino County while protecting water quality and public health,” the Mendocino County plan states. Under state policy, established in 2012, localities are allowed to propose and create a LAMP to oversee small water users in their watersheds. The Mendocino LAMP will regulate systems which discharge less than 10,000 gallons wastewater from domestic and commercial food productions sources. Projects with greater than 10,000 gallons per day will be regulated by the Water Board. The as part of the law the LAMP must send an annual report including information about permits, complaints and water quality data to the Water Board for review. The Mendocino County Board of Supervisors approved the LAMP on June 19. But while the passage of the LAMP was routine and unanimous, the discussion of dairy runoff remains contentious and the showdown between environmentalists and dairy industry officials over the potential water pollution caused by dairy cows was the meeting’s main event. On the table for debate, the draft of a hefty policy to alter the Water Board’s permiting process for North Coast dairies. In public statements, dairy officials buttered up the Board and argued against excessive regulations, while environmentalists called “bull” on some industry talking points. Cherie Blatt, a Water Board staff member, presented a draft of a program that, if passed, would require applicants to include explicit plans for how dairy farms will protect riparian areas and tribal cultural resources. Requirements for wastewater discharge specifications, nutrient management plans and rules for monitoring surface and groundwater would also be changed. This policy change may sound familiar to cannabis farmers, who have seen just such a policy implemented over the past couple years. Indeed the creation of such a policy was among the first ways in which the state government and Natural Resources Agency began to regulate the water use and environmental impacts of cannabis cultivation, even before full commercial recreational legalization. According to a Water Board staff report, the policy, known as the General Waste Discharge Requirements, was proposed to simplify the regulatory process after the North Coast Board passed six regulations on dairy permits between 2012 and 2016. Dairy industry representatives repeatedly commented on the close relationship they have developed the Board and its staff, before raising concerns about part of the proposal that would require some dairies with existing permits to apply for a new permit under the proposed program. Paul Sousa, a representative of the Western United Dairymen, asked the board to restrict the amount of paperwork dairies need to fill out when reapplying for permits, noting that dairies, currently struggling with low organic milk prices, should not be milked for cash. Felice Pace, a member of the Sierra Clubs’ Redwood Chapter, asked the Board to be mindful of those impacted by water pollution caused by some dairies. Deanna Meyers, Ph.D, a UC Davis agriculture professor, suggested that dairies have an incentive not to pollute water because they require healthy pastures and water sources to feed their cows. “They happen to sell milk — but their primary job is managing pastures, and that means they have to maintain a functional pasture to sell their product,” Meyers said. 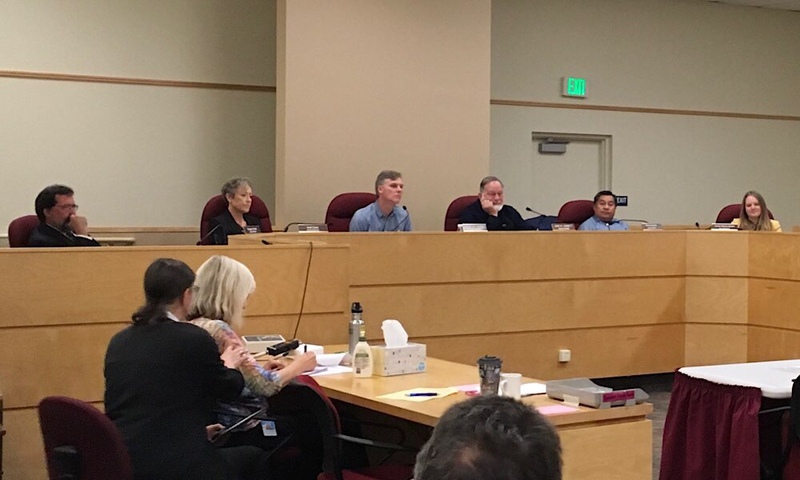 Bob Legge, policy director at the Russian Riverkeeper, asked the board to make the documents and data used to shape the policy and issue permits available to the public, an issue that has been the subject of litigation in the past. The Board extended the public comment period on the new regulations from Dec. 3 to Jan. 3. The Board’s dairy unit is staffed by part-time employees and funded from multiple revenue sources. For instance, the salary of Cherie Blatt, the staffer who prepared and presented the new permit structure to the water board, is pieced together from multiple funding sources, according to Matthias St. John, the Board’s executive officer. According to St. John, the Board has only one dedicated staff member to watch over approximately 120 dairies in the district. “There are dairies in the region and we have to address them, but we’re essentially borrowing from other programs for the work that we do in the dairy program,” St. John said. Although the department has attempted to acquire more funding for the dairy program in recent years, they have not been able to secure funding, according to St. John. St. John did not state where the agency applied for funding or much how much funding the dairy unit has had in the past. Approved a five-year operation permit for the City of Ferndale Wastewater Treatment Plant. Allowed the North Fork Lumber Company’s Korbel Sawmill until Dec. 31, 2019, to reduce its copper and lead emissions to proper levels. Voted to phase out an operation permit for the Sierra Pacific Industries’ Arcata Sawmill. The Humboldt County mill closed in April 2016. Heard a staff report about the Russian River Watershed Association’s current programs. The meeting agenda and all related documents are available on the board’s website. 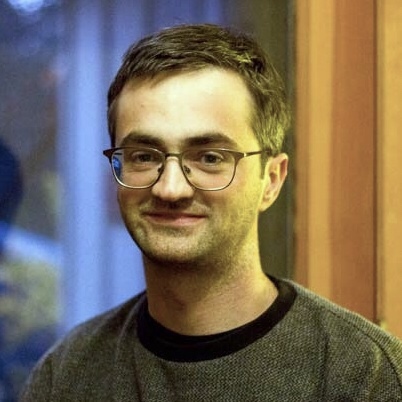 Will Carruthers is a freelance journalist based in Santa Rosa. As a reporter in San Francisco, he wrote about politics, urban planning and environmental equity for several community newspapers. Thanks for covering the North Coast Water Board. The Board is supposed to keep our water clean but, with the exception of marijuana cultivation, they have refused to effectively regulate agricultural pollution preferring “voluntary compliance” which means no enforcement on bad ag actors who fail to protect water quality. We hope to do more coverage. The more subscribers we get, the bigger out budget for freelancers will be, and the more coverage we’ll do.